Bring good luck to your kitchen by hanging up this spooky decoration. Print from the link above, then cut out the witch along the dotted lines. Trace it onto a piece of cardboard or paper plate. Cut out the cardboard. Glue the witch to the cardboard. Print out a second witch, cut it out, and glue it on the back. Punch out a hole at the top. Thread with string and hang in your kitchen. Boo! 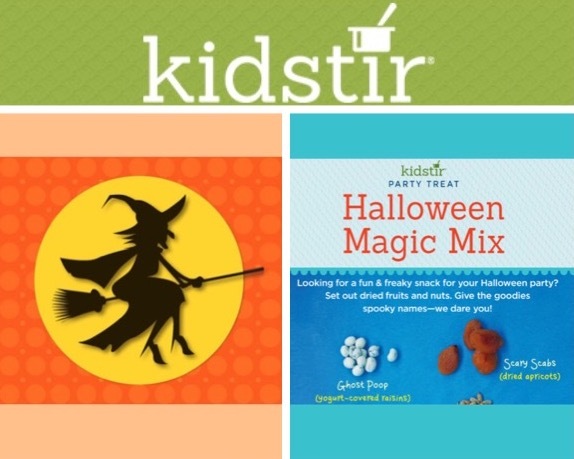 Treat your little monsters to our fun and freaky Halloween Magic Mix. It’s perfect to serve at your Halloween party or enjoy as an afternoon spooky snack. Kids can serve their very own spooky halloween snacks that are simple and easily available foods like yogurt covered raisins, dried fruit, and nuts. A creative presentation with ghoulish descriptions makes kids think of ghostly treats by printing scary signs to add imagination to your table with Spooky Tabletop Tags! 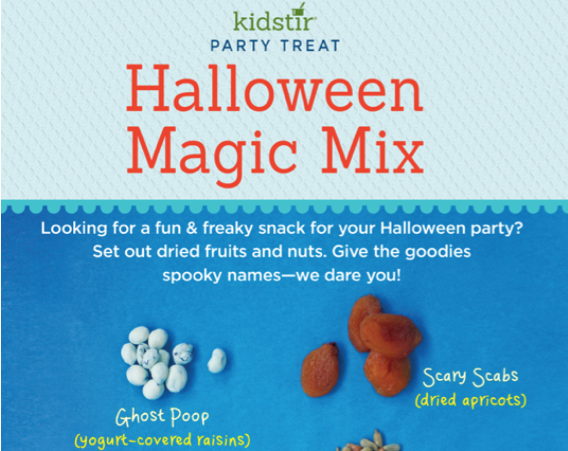 Make Halloween party goers imaginations run wild with Monster teeth (almond slices), Goblin ears (dried apples), Witch warts (raisins), Big scary scabs (dried apricots), Ghost poop (yogurt covered raisins), Frankenstein fingernails (sunflower seeds). Thanks KAMR-TV NBC4! Anchors Meaghan and Andy share the Spooky Celebrations kit with their Amarillo TX viewers! 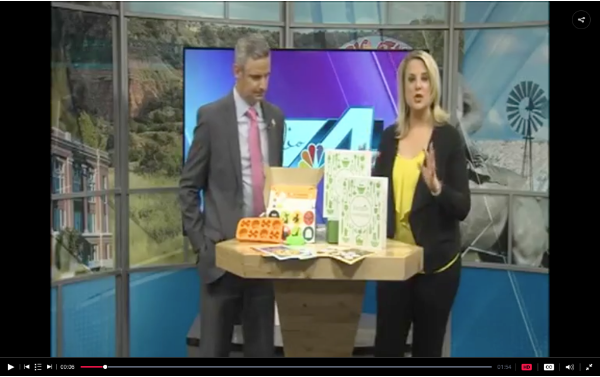 The segment is called Meaghan Loves the Spooky Celebration Kit from Kidstir. Check out all our kits and join here!